Excitement about the impending opening of Scotland’s first design museum, the V&A Dundee, is growing. Many a passer-by has recently stood outside the Heras fencing and stared at the building as it nears completion. Some of those people will have noticed with anticipation the stone benches and ledges of the mirror pool and contemplated not just their aesthetics but also their functional use. Skateboarders tend to view cities and architecture differently than the average person walking through a town centre, seeing potential for skating in the various objects and structures encountered in the urban environment. Benches and ledges of the mirror pool outside the V&A Dundee. Benches outside the V&A Dundee. As the quote above by Craig Stecyk suggests, very often the creators of architectural surfaces have not had in mind some of the ways that people ultimately interact with them, skateboarding, bmx, parkour, all make use of the urban environment in alternative ways. Walls that were intended to contain or guide people become something to jump over, grind and slide on. This latter point is what raises a concern about the benches, ledges and the general surrounding area of the V&A Dundee. Has the “skateability” of the surrounding street furniture been a consideration when it has been designed and built? Is this going to be a surprise consequence and result in the deployment of hostile design measures to prevent anyone trying to skate any element of Kengo Kuma’s creation? So from the outset skateboarders have been encouraged to skate parts of the building itself and in the area surrounding the building. Rather than attempting to prevent this usage they instead have embraced and actively encourage it, and in turn to encourage a younger demographic to have a reason to visit the museum. Their commitment to this has continued with the hosting of various skate competition events and also in the summer of 2017 with the addition of purpose built concrete features to provide even more opportunities for skateboarders. For a Museum of Transport there would obviously have been quite a degree of irony if they had chosen to actively fight against these activities. In a fairly stark contrast to the approach of actively embracing skateboarding from the outset there is the example of Bristo Square in Edinburgh. A public space within the University of Edinburgh’s campus which many people passed through and home to many skateboarders, as well as a few homeless people. This was a prime urban skate location for decades, skateboarding was never actively encouraged in Bristo Square before the refurbishment and it definitely wasn’t an activity that was considered in its design, but it was an extremely popular location and visited by many skaters from across Scotland. Whilst this does acknowledge the potential issues of having pedestrians and skateboarders together in the same environment it appears to favour the approach of embracing all potential uses of the space, as opposed to actively trying to prevent them as the resulting redesign of Bristo Square has done. An approach that has worked well for Glasgow Museum of Transport. Which approach for the V&A? As the V&A Dundee is a museum of design there is a strong argument that the design of the surroundings and the street furniture around it should take into account the different ways that people might interact with it. As shown from the examples of Glasgow Museum of Transport and Edinburgh’s Bristo Square, people don’t just walk or sit in urban environments. The creation of the Slessor Gardens open space and the planned waterfront “urban beach” shows some consideration of the need to provide ways to encourage people to spend time in the area. But are we going to end up with attempts to ban and discourage activities like skateboarding and excluding a thriving cultural activity, and an important younger demographic, because it doesn’t fit in with how the area was designed? A sure sign that these activities were not considered will be if we see some hastily added hostile design “skate-stopper” features added to all the benches and ledges around the V&A Dundee and waterfront areas. Skateboard urbanism – rise of the intentionally skateable city? In contrast to the anti-skate / hostile-design approach it is worth looking at the city of Hull, a city with a similar rising cultural heritage and renewal to Dundee. Hull, the 2017 UK City of Culture, is the UK’s first “skateboarding friendly” city and plans to design “skateboard-friendly” areas in new projects for public buildings. Hull joins other cities around the world like Melbourne, Copenhagen and Malmö who have also declared that skateboarding, and other urban sports, are a key aspect of their cultural heritage, embracing and encouraging the use of city architecture and spaces for these activities rather than attempting to ban and confine them only to dedicated skateparks. Dundee – skateboarding friendly, by design? With these aims in mind, it would seem that it’s time for a conversation about how skateboarding, and other urban sports such as parkour, BMX etc, fit in to the V&A Dundee, the surrounding waterfront space and the city as a whole. Earlier in this article I poised a question regarding whether the “skateability” of the V&A and its surroundings was a consideration during the design process. Following on from that it just remains to ask one more question: Will those involved in the development of the V&A Dundee and regeneration of these areas take the skate-friendly approach of Glasgow’s Museum of Transport or the hostile-design approach of the Bristo Square redevelopment? https://www.bigissue.com/news/hostile-takeover-welcome-public-spaces/ “I’m not sure what I find more offensive – the hidden agenda or the addition, like spikes. It is a bit like adding a swear word into a polite conversation versus saying something polite that has another nastier meaning.” – quote from Iain Borden regarding anti-skate, anti-homeless measures. It’s great to have an event like this in Scotland for once so don’t miss out on the opportunity to go along! 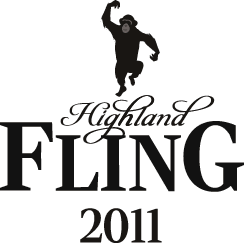 The Highland Fling prides itself on exciting speakers and valuable topics that we can all learn from. Sound good? Whether you’re a front-end whizz or a project manager wanting to find out a bit more about what your team could be getting up to, The Highland Fling 2011 – Back to Basics will take you on a journey through modern web development that you can’t afford to miss. There’s a great line up of speakers and will be hosted by Christian Heilmann of Mozilla who is also a great speaker. There’s a special last minute discount deal, just enter the discount code LASTCALL to receive 10% off the standard ticket price. Mike Rundle – From Websites To Apps: The "Apple Look"